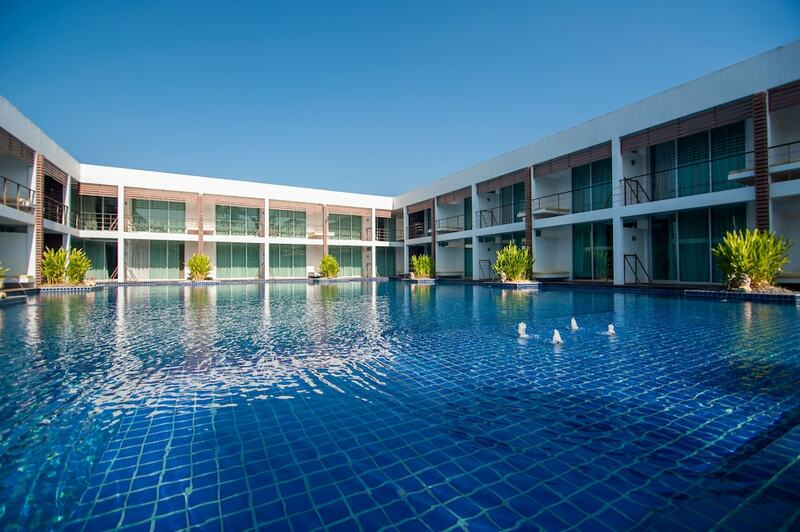 Situated in Nong Khai, this hotel is within 3 mi (5 km) of Sala Keoku, Phra Aram Luang Wat Pho Chai, and Sadet Market. Buddha Park is 10.7 mi (17.2 km) away. An outdoor pool, a coffee shop/café, and coffee/tea in a common area are available at this smoke-free hotel. Free WiFi in public areas and free self parking are also provided. Additionally, spa services, a 24-hour front desk, and a garden are onsite. All 58 rooms provide conveniences like refrigerators and coffee makers, plus free WiFi and TVs with cable channels. Other amenities available to guests include balconies or patios, minibars, and rainfall showerheads. The hotel offers a coffee shop/café. Wireless Internet access is complimentary. For a surcharge, a roundtrip airport shuttle (available on request) is offered to guests. This business-friendly hotel also offers an outdoor pool, spa services, and a terrace. Onsite self parking is complimentary. Vana Wellness Resort is a smoke-free property. Breakfast is available for a surcharge and served each morning between 6:30 AM and 9:30 AM. ARUNA - Overlooking the garden, this restaurant serves breakfast and light fare. Guests can enjoy alfresco dining (weather permitting). Open daily.